Marko Marinovic of Radnicki Kragujevac tied the Eurocup’s all-time single-game assist record with 15 in his team’s crucial 91-81 victory over Neptunas Klaipeda on Wednesday in Jezero Hall. The record-tying assist came with just over a minute to go through Nikola Jevtovic. The record was originally set last season by Travis Diener, who racked up 15 assists for Dinamo Banco di Sardegna Sassari against Crvena Zvezda Belgrade. Marinovic, 30, leads the competition with 8.2 assists per game this season. He has already dished at least 10 assists in three games. A Eurocup champion with Valencia in 2010, he is a stalwart of the competition; this is his sixth Eurocup season with five different teams. 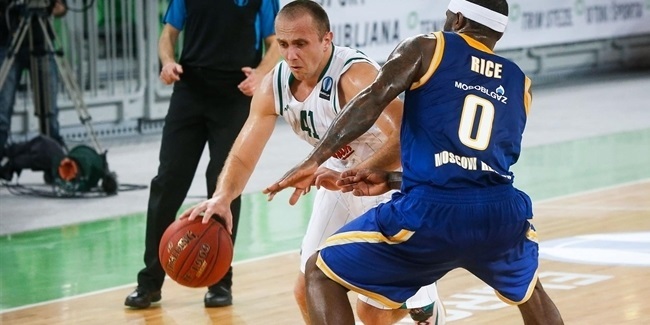 His 214 career Eurocup assists rank him fourth on the career list.